Long Neck is a super melodic good band (come for the pop jingle / stay for the rock jangle) from New York / New Jersey led by Lily Mastrodimos*. Since forming sometime circa 2014 A.D. Long Neck has gone from Mastrodimos' solo DIY bedroom project to a real life (live?) 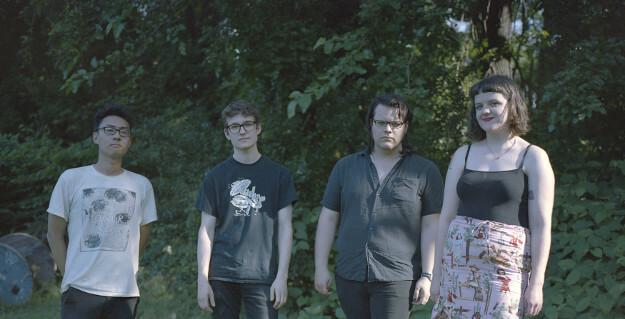 band that has played a bunch of shows (sharing bills with good bands Adult Mom, Vagabon, Ian Sweet, Fern Mayo and Peaer to name just a quick few) and who recently got signed by Tiny Engines <--- a good record label. Below is a solid jam from their upcoming album Will This Do? (which very well might have already been released depending on when you read this profile forever frozen in time) that you should blast at your earliest convenience if you like blasting good jams.